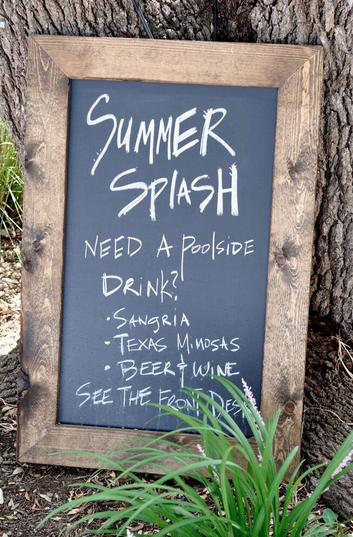 The Rain Is Over, Come See Us for a Summer Splash! The rain is gone, sunny skies are back and the grounds at Sage Hill Inn & Spa have been revitalized! What better time to come see us and savor that last weekend of summertime fun in the sun. Enjoy your stay with a refreshing dip in the pool and a Sage Hill libation...sip on homemade sangria, a frosty beer, mimosa, or a glass of something sparkly!